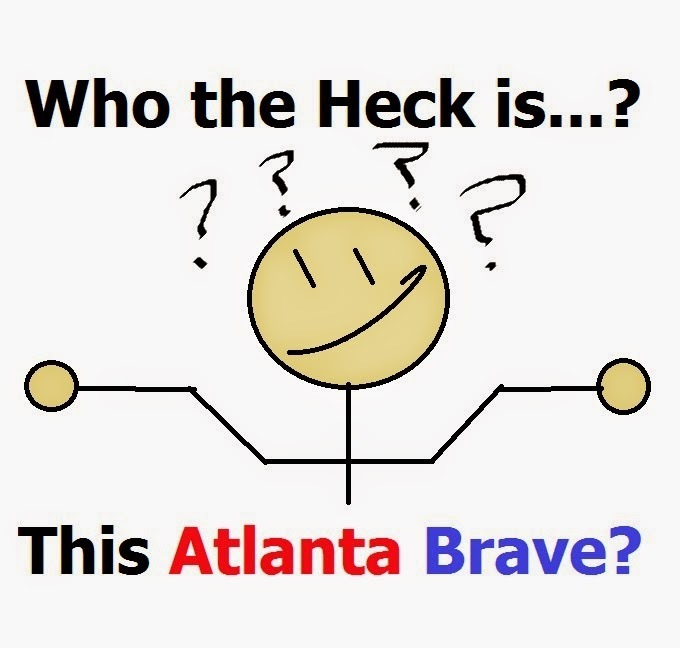 The second edition of Who the Heck is this Atlanta Braves focuses on our new call-up, Sugar Ray Marimon! Sugar Ray signed with the Kansas City Royals back in 2007 for $25,000 and played with their organization until the Atlanta Braves made him a minor league deal this year. Sugar Ray is the newest answer to Juan Jaime getting designated for assignment (thank God). He will help round out the right-handed portion of the bullpen with hopefully more control, because honestly it could get a lot worse than what Juan was doing out there. Why did his mama name him Sugar Ray? I can only guess that she was a huge fan of Sugar Ray Leonard, the famous boxer from the 1970s and 1980s. Or she really liked candy and a guy named Ray. Because honestly, I can't find much on the guy's upbringing back in Columbia. What I can tell you is that he's spent 8 years in the minors before getting called up to the MLB as of today. In his time with the minor leagues, Sugar Ray steadily improved his ERA, mostly as a starter. At the AAA level, Marimon had a 3.45 ERA in 86 innings with 15 starts. The Braves don't really need another starter, but they do need some help with long relief and a right-handed pitcher that can get a few key strikeouts. Sugar Ray should help them in that regard. For roughly $25,000, Toomey signed right-handed pitcher Sugar Ray Marimon, who throws 95 mph. Marimon's mother "cried at the signing," Toomey said. "She was losing her baby." For approximately $40,000, Toomey signed second baseman Luis Piterson. The signing was held at the Exito, which is like a Wal-Mart in the United States. Marimon and Piterson have had varied success in the Royals' system; each has a chance to someday play in the big leagues. Toomey visited them, as well as Teheran, in November, "to make sure they're doing OK, see what they need, and are eating right." This particular scout also recruited Julio Teheran, which I think is cool now that they are on the same team. That piece was from 2011, and honestly, I couldn't find anything else. The guy might as well be in the CIA for how much I know about him growing up. Which if you know anything about baseball recruiting in South or Central America, that does raise some questions. But I won't go into that here. What I did find is a few scouting reports. Supposedly he has a fastball ranging high 80s to low 90s. He commands it fairly well but not outstanding. It's definitely his go-to pitch in the arsenal. He's used a curve in the past but often has trouble with command of it leaving it in the dirt. His changeup could be his best pitch if he's been working on it enough to use it at the MLB level, but the key will be commanding it and getting the right amount of movement to confuse hitters. Otherwise it's just a slower fastball that a good hitter will deposit in the stands. So that's Sugar Ray Marimon, one of the cooler named players on the Braves. Hopefully he'll pan out as a great asset to our bullpen, and throw plenty of strikes unlike Juan Jaime.